Panasonic focuses on better child safety in batteries by improving the design of the battery packaging and clear communication. The reason? More and more children end up in hospital after swallowing a button battery. So how exactly is Panasonic trying to prevent this? 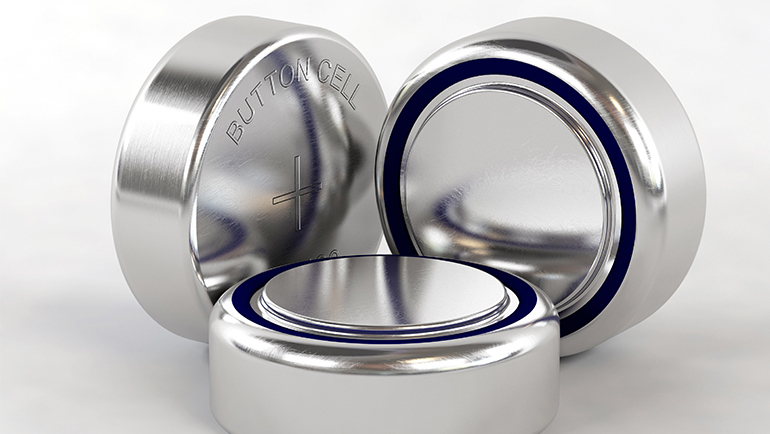 The item recently dominated the news in Belgium, the Netherlands and the UK because there is an alarming number of children who swallow button batteries and some of them even needed an emergency surgery. Therefore pediatricians raise the alarm. The button batteries are about the size of a nickel and are very hazardous because they get stuck easily. As appliances are becoming smaller, they mostly need button batteries which are also often present in lots of kids toys, so there is a bigger chance kids can access them easily. If these button cell batteries are swallowed, they can cause a corrosive process that arises from the electric current when the battery reacts with body fluids. Panasonic Energy Europe is part of the European battery industry and together, they are working on battery safety. To help prevent the risk of swallowing, Panasonic is investing in the child safety of its batteries and packaging. Next to this measure, they are investigating how to best change the packaging on anti accidental swallowing. On top of that, it also wants to create a general awareness among parents, teachers and medical carers. Until now Panasonic already uses recognisable safety pictograms and warning symbols on its packaging. On the backside of the battery pack, there is a visible icon to show the risk of swallowing. Also, child-safe packaging and specific advice for both parents and teachers about the use of batteries are mentioned. Panasonic is continuously improving product safety and harmonisation of caution notices/safety pictograms. What to do when someone has swallowed a battery? When suspecting children or anyone else from swallowing a button battery, you have to act fast because the first damage can already be done after 30 minutes. Bring the kids immediately to the hospital. And preferably, if you still have the packaging of the batteries, take it with you, because doctors can use it to identify the type of battery so the treatment can be quicker. Do not let your kids drink or eat and do not make them vomit as this can cause damage. When buying toys or other appliances, please check if the battery compartment is closed with a screw and so not easy to open. Products with batteries where the battery compartment is not secured with a screw should be kept out of reach of children. Teach all your children from the beginning that button batteries aren't toys and are dangerous so they will not play with them or even give them to younger brothers and sisters. Never put batteries in your mouth when changing them. Store your battery not only out of children's reach, but also in a container that children can't open. When your battery is empty, make sure you collect them in a dedicated recycle point or throw them in the garbage, but not keep them in your drawer.